Bill Turnbull is a speaker, journalist, presenter & former co-host of BBC Breakfast. Bill had been presenting BBC Breakfast since 2001. He began as a weekend presenter & in 2008 became one of the main weekday presenters for the programme which is broadcast on both BBC1 & the BBC News channel. He joined the BBC as a reporter for BBC Radio 4’s Today programme in 1986 then moved to Breakfast Time in 1989. This is where he reported memorable stories from around Britain & Europe including the Lockerbie disaster & the Romanian Revolution of 1989. It was, Bill remembers, a steep learning curve – learning the techniques of making television amid rapidly changing events. In 1990 he became a correspondent for BBC News. As a News Correspondent, Bill later covered everything from presidential elections to street riots in more than 30 countries. During his four year stint as the BBC’s Washington Correspondent between 1994 & 1998 he reported on the Oklahoma bomb, the OJ Simpson trial & the Monica Lewinsky scandal. Other highlights in his career include the Moscow uprising in 1991, Hurricane Katrina in 2005 & the US Presidential elections. He was a regular presenter on BBC News 24 & BBC Radio 5 Live before joining the Breakfast presenting team full-time. He has also occasionally presented news bulletins on BBC One. 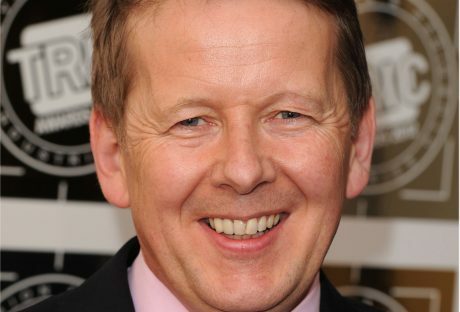 Bill Turnbull’s career in journalism began at Scottish local station Radio Clyde in 1978. In 1980 he became a reporter for LBC & Capital Radio in London before freelancing for a number of years in the USA. In 2005, he was a contestant in the third series of the BBC dancing competition Strictly Come Dancing, paired with Karen Hardy. In his spare time Bill looks after his chickens & rather more hazardously, several hives of bees. He likes to unwind by watching what he calls ‘the Pride of the Chilterns’ – Wycombe Wanderers. To enquire about or book Bill Turnbull for your event contact Arena Entertainment. Either send an email to info@arenaentertainments.co.uk or speak to one of our booking agents on 0113-239-2222.